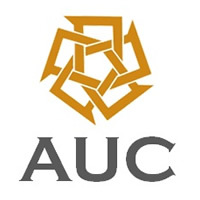 The AUC School of Business was launch in 2009 with the mission to create an environment that fosters the development of principled and innovative business leaders and entrepreneurs. The school boasts more than sixty years of experience (formerly as the School of Business Economics and Communications) in business education in Egypt, the Middle East and Africa. The School of Business was rank as the first in Egypt and second in Africa for the past four years. Also elected to be one of 100 business schools with major international influence. In February 2012, the MBA Program was ranked (by Forbes Middle East) as the first among similar programs in 37 private universities in the Arab world. The school offers executive education and research centers that aim to promote responsible business and management in various fields of marketing, finance, economics management of information systems and entrepreneurship. Responsible business has become one of the school of business four pillars. Ali Awni is Professor of Practice at the Business School, American University in Cairo (AUC), where he has been full-time faculty since September 2009. He teaches operations management courses at the undergraduate and MBA levels. His areas of research are in applications of operations management in Egypt, and, for SMEs in particular, operations and supply chain innovations for bottom of the pyramid, upgrading the operations for Egyptian exporters and suppliers’ selection and evaluation. Since November 1, 2014, Awni has been the Director of the John D. Gerhart Center for Philanthropy and Civic Engagement. Prior to joining the AUC, Awni was the Head of the Qualifying Industrial Zones (QIZ) Unit at the Ministry of Trade & Industry, Government of Egypt. The Unit is entrusted with the administration of all terms of the QIZ trade protocol. Furthermore, the Unit acts as a catalyst for the implementation of operational plans to maximize the benefits of the protocol for Egyptian Industries, including promotions of FDI and the upgrading of export readiness of QIZ companies. Awni also served as an adjunct faculty at the American University in Cairo, teaching MBA courses in operations management. 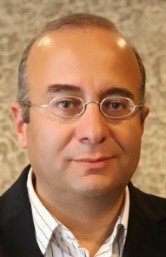 Awni was the Partner-in-charge of supply chain consulting services at KPMG Hazem Hassan in Egypt, where he guided and directed the successful completion of various projects in supply chain diagnostics, process design, and performance improvement in operations and business logistics for clients in the food, consumer products, industrial, apparel, and pharmaceutical industries. Awni has extensive management consulting, system development, and operations research experience in the US, focusing on supply chain management and business logistics improvements. Awni holds a BS in Computer Science & Statistics from Kuwait University, an MS in Systems Science from the University of Ottawa, and a Ph.D. in Operations Research from North Carolina State University.